External Hard Drive/USB disks are becoming larger, popular and common every day. It is the ideal portable storage device for videos, photos, music, document files or as backup storage for files and systems. However, there are a number of warning factors that can alert you to a physical drive failure. 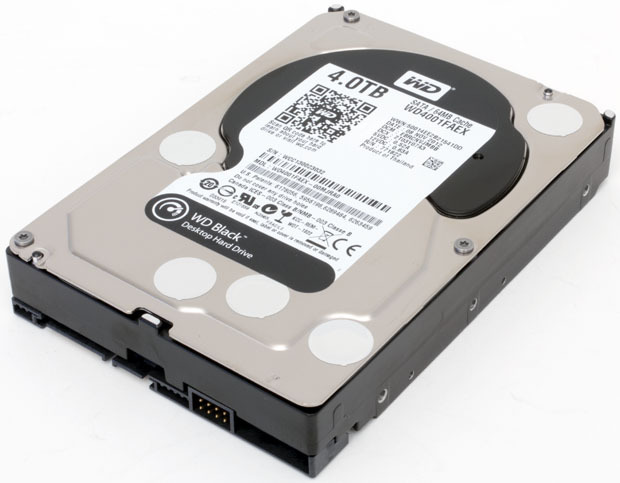 These include: drive shows as "Not Initialized" in Windows Disk Management, drive not spinning (no power), an excessively hot drive, an abnormal ticking noise whilst the drive is reading data, a loud clicking or grinding noise. A mechanical failure means that your drive has broken parts that are preventing it from working—busted drives often make a telltale clicking sound as they futilely attempt to access their files. If you hear that, your data may still be there. It may be possible on a degrading drive to successfully run data recovery software and retrieve data. Safe365 Any Data Recovery Pro can solve your hard drive problems regardless of whether data or files were deleted accidentally or are inaccessible due to a crashed hard drive, hardware failure or virus infection. Step 1. Launch Safe365 Any Data Recovery Pro and select the file types you want to recover. Then click "Start" button. Step 2. Select the drive where you lost your data and click "Scan" button, the software will quickly scan the selected disk for lost data. Step 3. 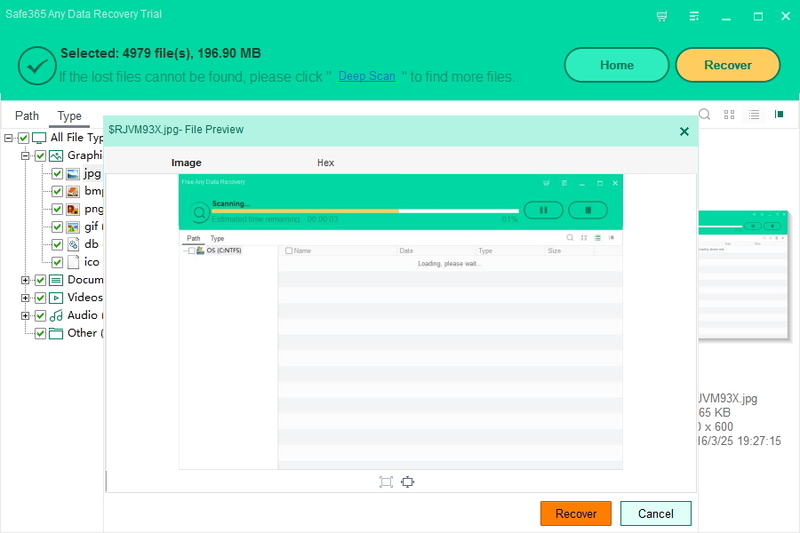 After scan, you can preview all the listed recoverable files one by one. 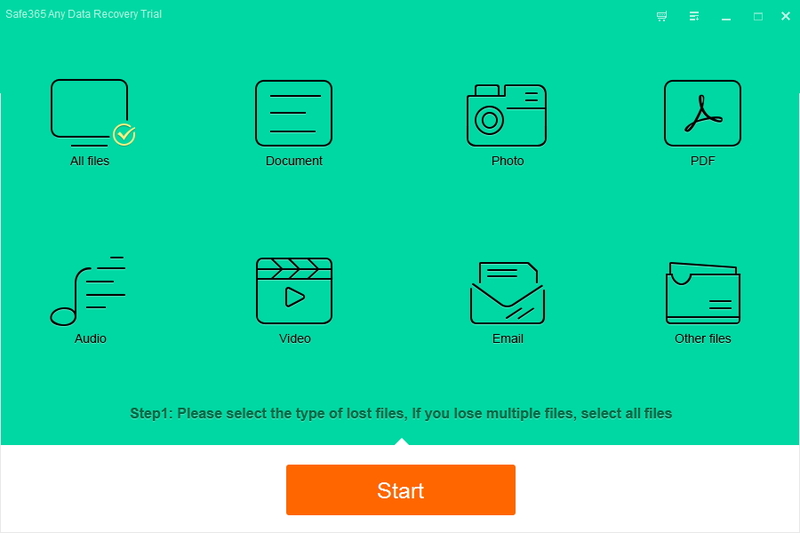 Then, click "Recover" button to recover lost data.